Tuffy says: Azuls Blue Pine is Breeding Stock. Is she picture perfect or what? 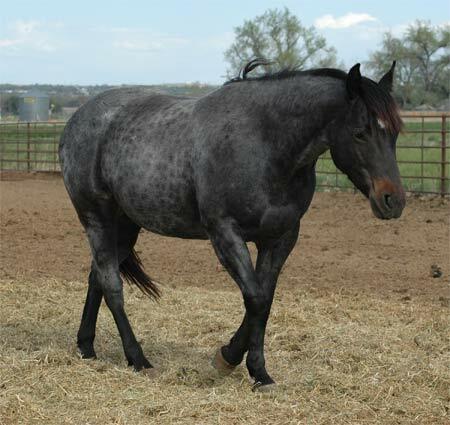 Her dam is a top notch POCO PINE mare and has produced a couple of top notch ranch horses. Her picture should just about speak for itself! This fillies full brother just sold for $17,500! He is a top ranch gelding and his price proves it! I am going to keep this mare being an own daughter of the ol blue horse. They are getting harder and harder to come by so I am going to hang onto this gem.